One hundred different AI voters. Two political candidates. And you. 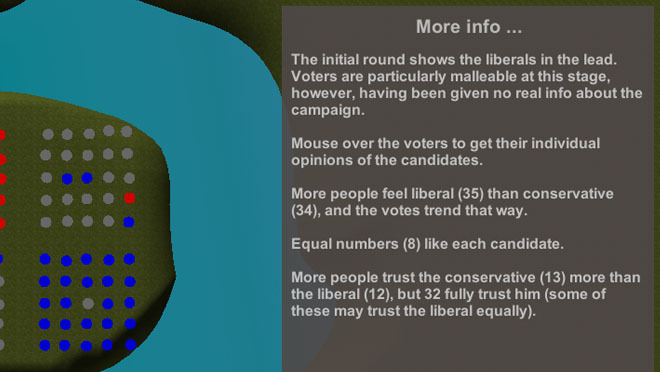 Can you manipulate the vote? They Vote! 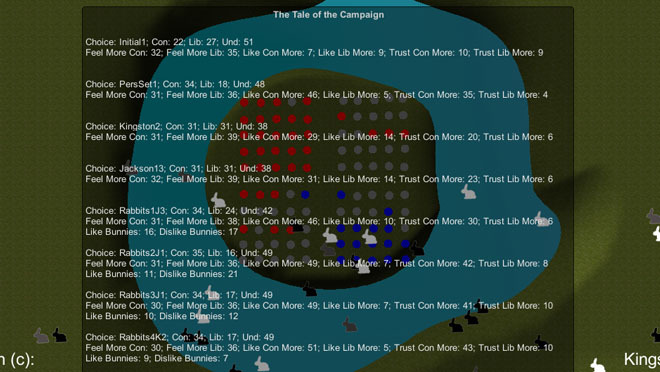 originated as our in-house demo of what Extreme AI could do, setting up 100 NPCs with different personalities and politics and letting them grow depending on what a candidate did. Some trust him, some like him ... but his actions can change all that. Now we're offering They Vote! as a free demo/game using Extreme AI. 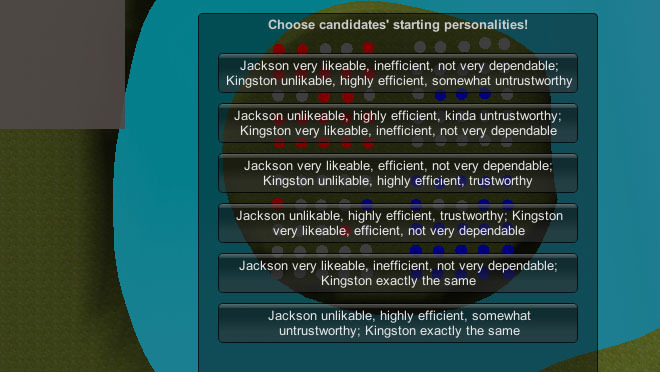 There are two candidates; you control what each does and says. 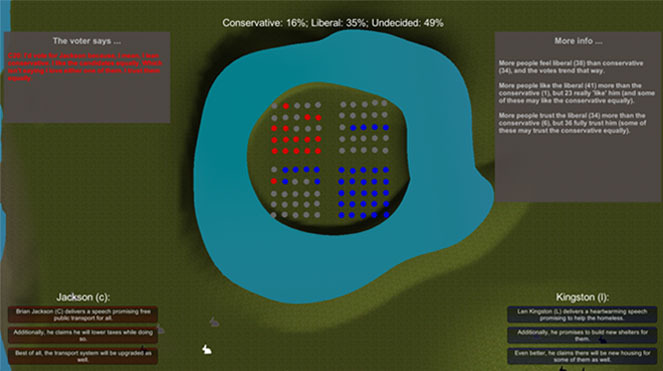 Poll results are released after each action. Can you get the voters to go your way? Play the challenge scenarios as well--see our forums for these. 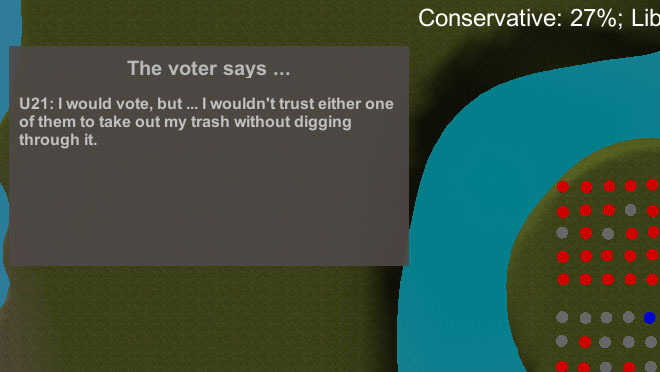 They Vote! is free (click here), but we're happy to accept donations! Have voting stats to upload? Click here to go to the forums! Try the challenge! 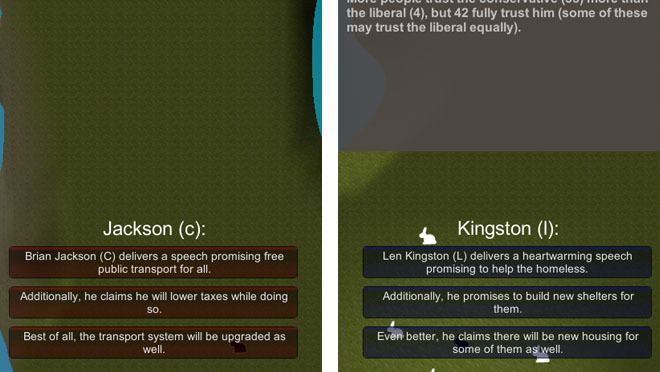 Can you get enough voters to vote your way? Find out about special results!